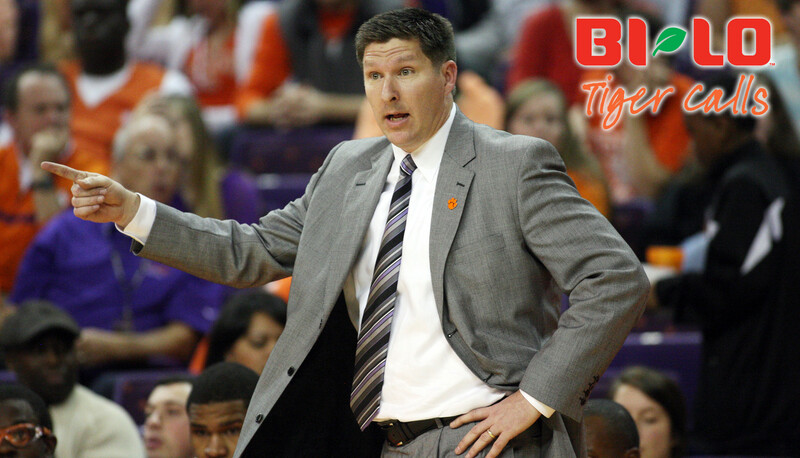 BI-LO Tiger Calls with head men’s basketball coach Brad Brownell will take place tonight, Monday, December 3 at 7 p.m. in the BI-LO Tiger Calls Studio on the campus of Clemson University. The show will run from 7 p.m. to 8 p.m. and can be heard on the radio on one of the affiliates of the Clemson Tiger Sports Network. Fans can also view the show live via TigerCast on ClemsonTigers.com. BI-LO Tiger Calls is an interactive show, hosted by Don Munson, which gives fans a chance to ask questions to Coach Brownell. Fans can submit questions via the Clemson Athletics Facebook page (www.facebook.com/clemsontigers) or by calling toll-free 866-735-2536.